Happy Easter to you all! Hope you've all been having a great weekend. 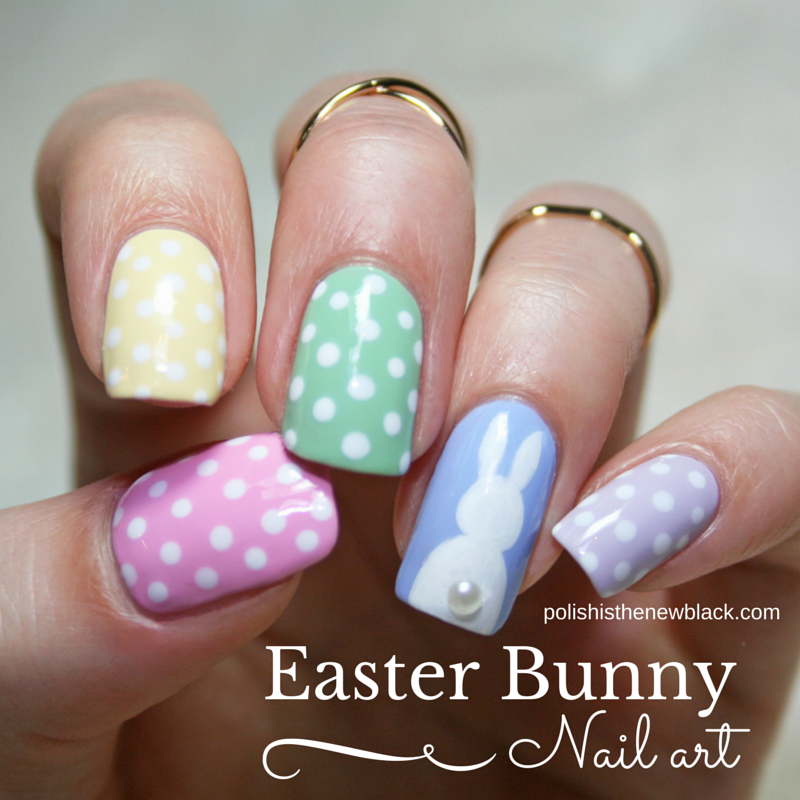 I've had a lovely chilled weekend spending time with my family... and of course I did some Easter themed nails! I used 4 of the Color Club 'Paris in Love' polishes: Je t'aime, Macaroon Swoon, La Petite Mint-Sieur and Holy Chic along with Ella Mila polish Lilac Luster and +OPI Products Alpine Snow. 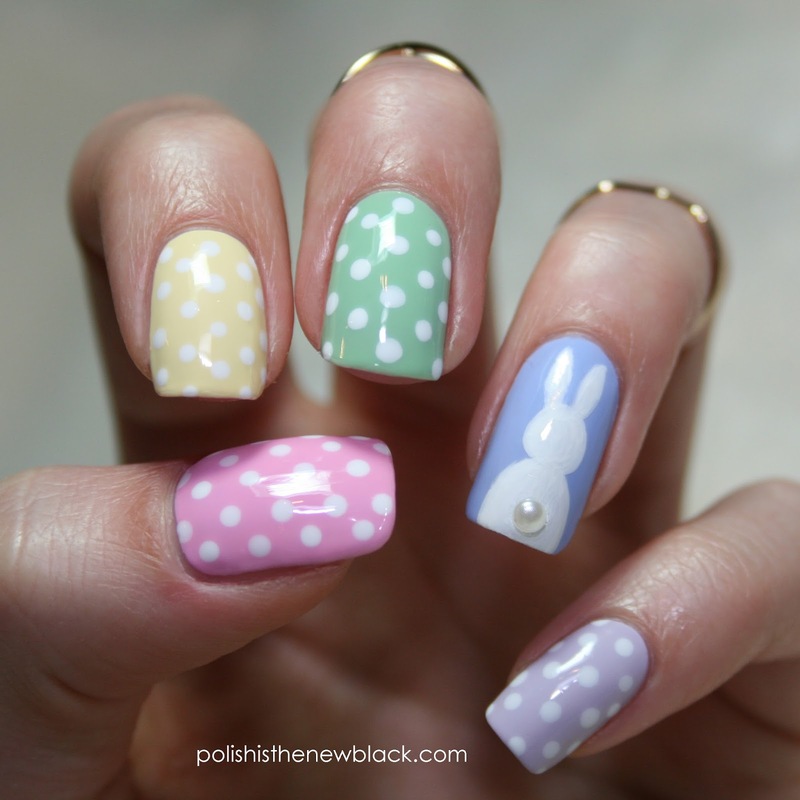 The polka dots were done using a dotting tool and the bunny was painted freehand using acrylic paint and my Pure Color 9 brush. The pearl for the tail was from +BornPretty BPS. 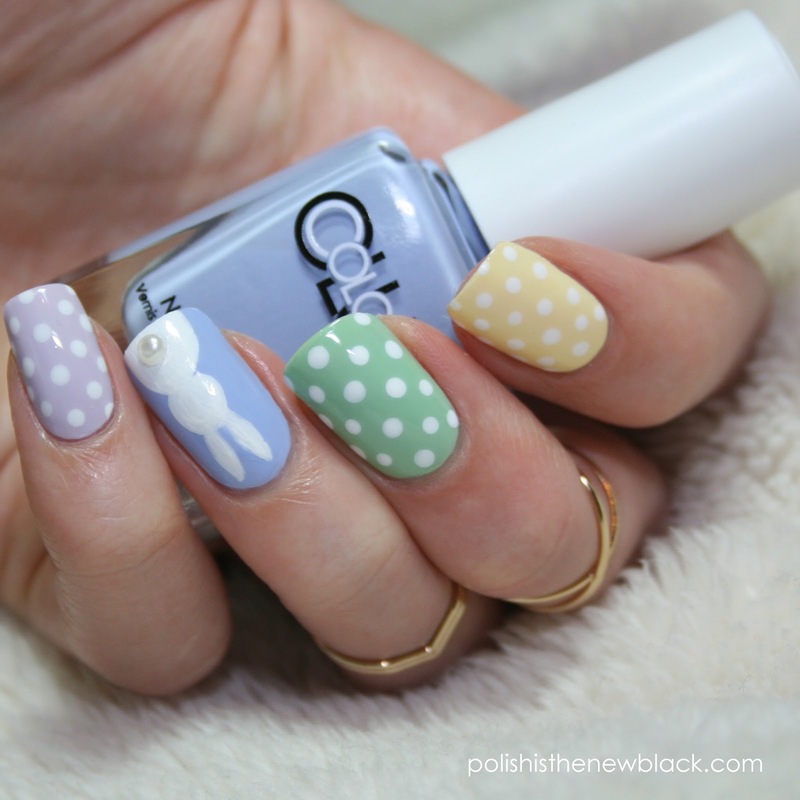 I think it looks super cute! The design was topped with +☆ DREAM POLISH ☆ Gem Glam top coat to give a glossy finish. I hope you guys liked this design!